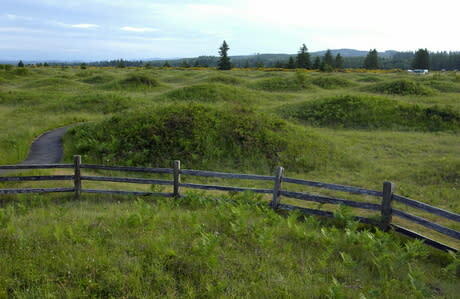 The Mima Mounds Natural Area Preserve (NAP) was established in 1976 to protect rare examples of mima mound landforms and Puget prairie grasslands. The site includes a small Garry oak woodland and savannah (widely spaced oak trees with grass understory) and also supports a variety of prairie dependent butterflies and birds, and Douglas-fir forest. The NAP currently comprises 637 acres of grassland covered mima mounds, forest and oak woodland. 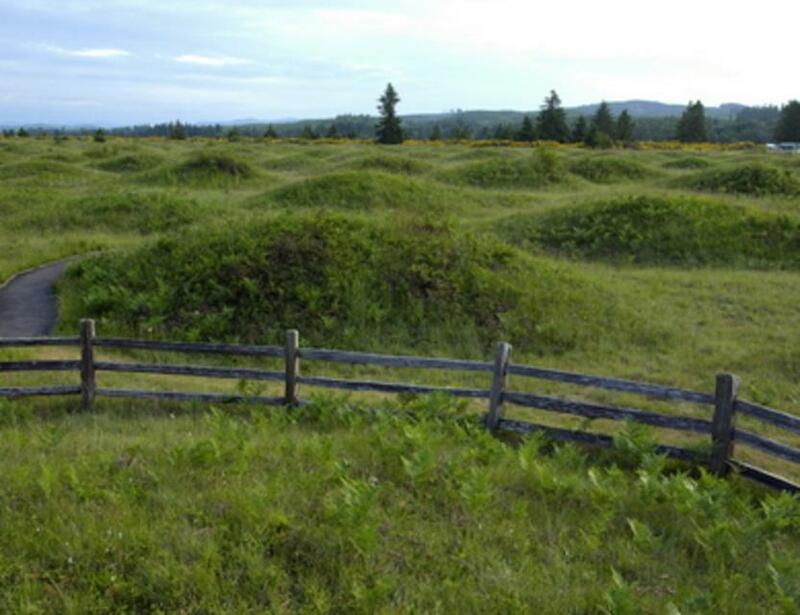 In 1966, the National Park Service designated mima mounds a National Natural Landmark, for its representation of our Nation’s natural landscape. The site is one of only 17 landmarks found in Washington State. Mima Mounds NAP has an interpretive trail system including a paved, ADA accessible ½ mile loop, and two longer gravel paths to the north and south of the paved loop. The interpretive center includes full color signs with information on geology, mima mound hypotheses, prairie ecology, fire and Native American use. Site stewards are available by request to lead group tours. Staff may be available for educational field trips as time permits. No dogs allowed—please—to help conserve the ecology of this site. A Washington State Discover Pass is required for parking at this site.